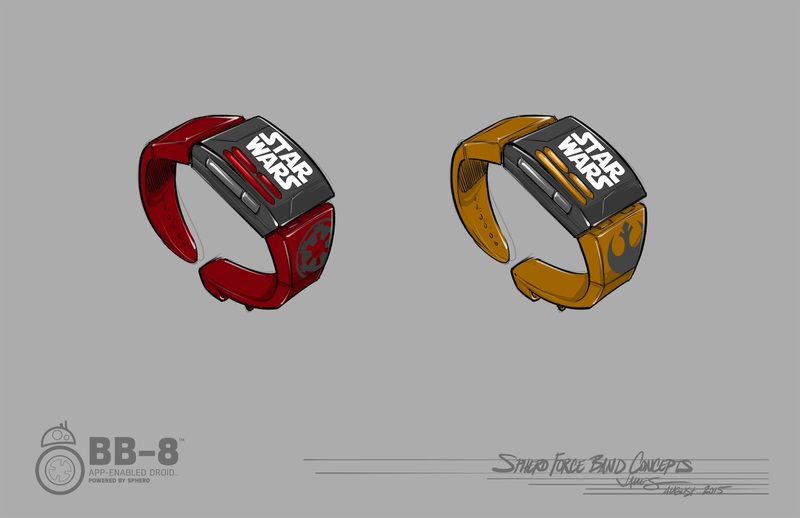 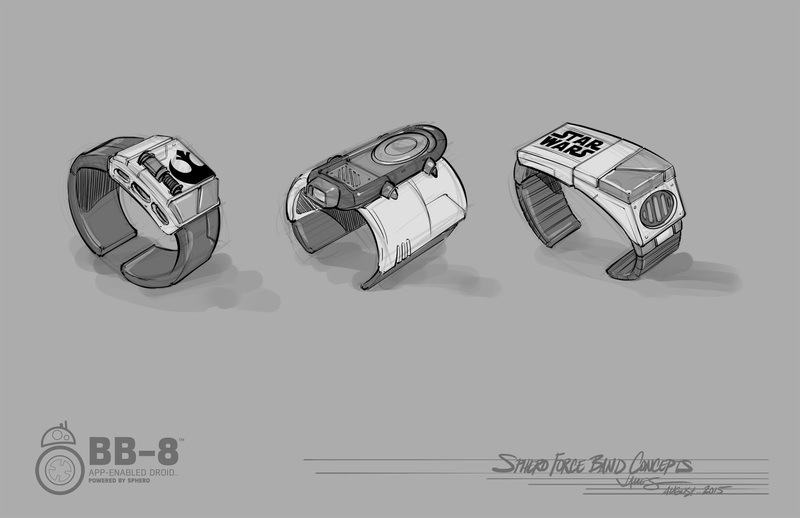 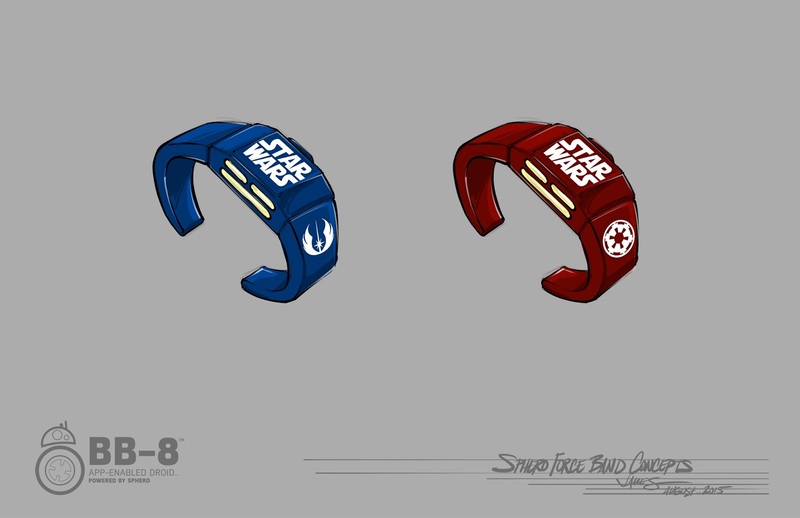 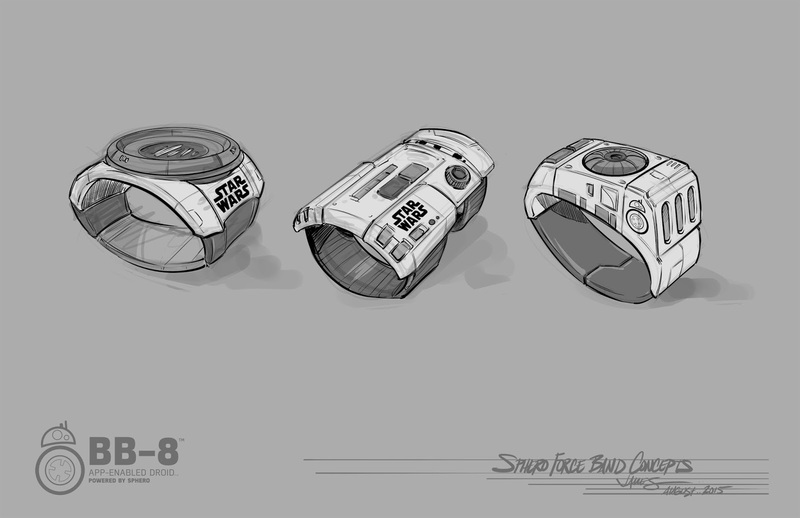 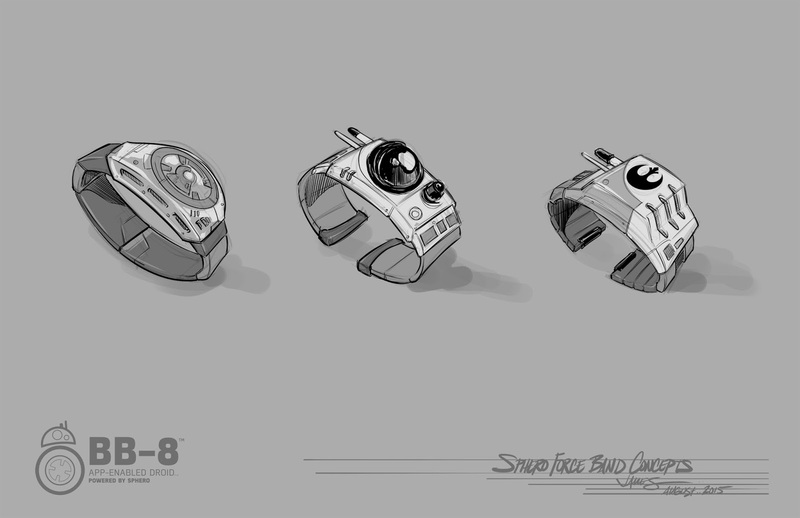 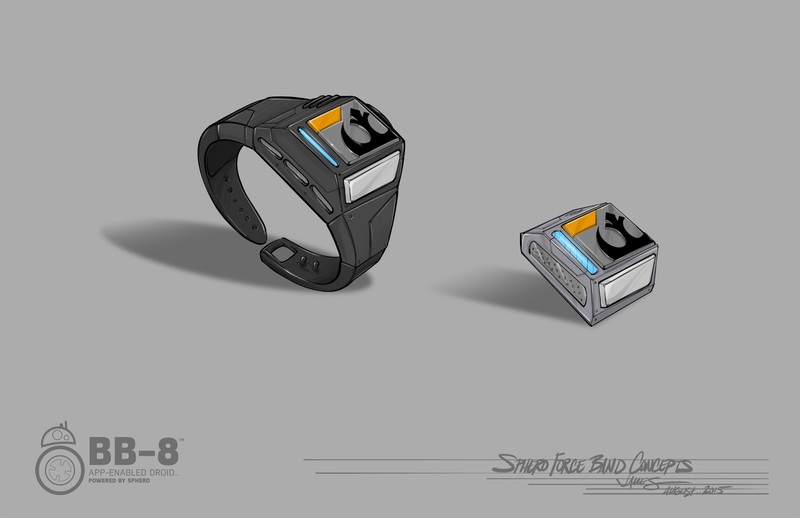 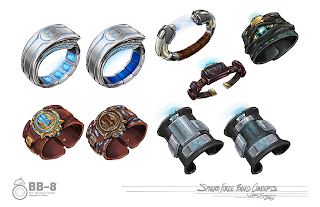 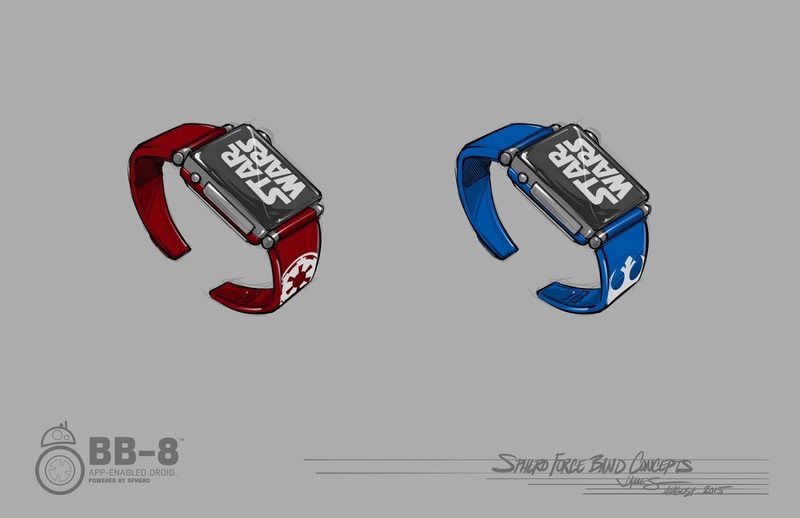 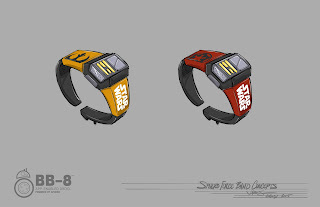 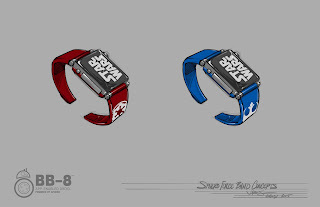 After BB-8 launched we went right to work on what would come to be known as The Force Band. 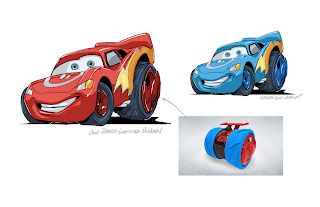 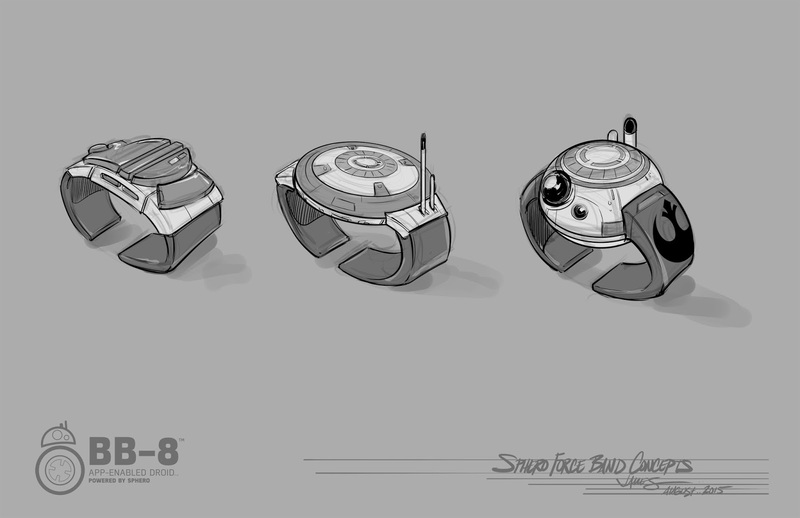 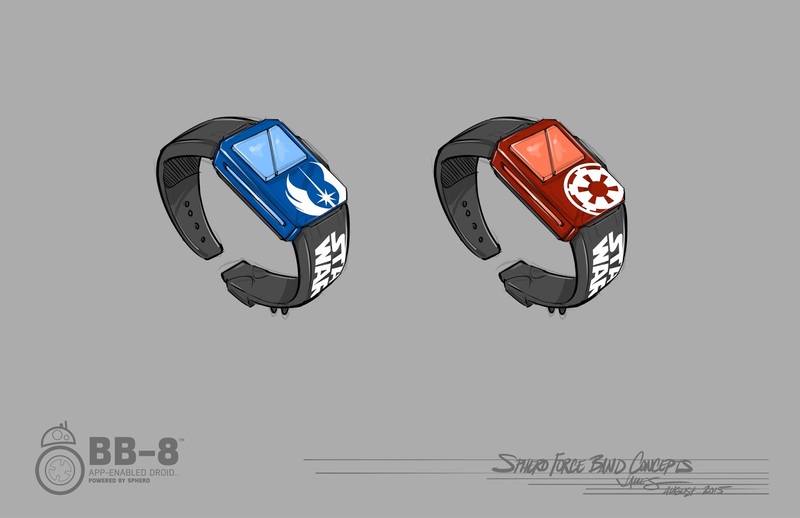 This was a motion control system originally developed with the, at the time, newish Apple Watch tech to allow the user to drive a Sphero, and consequently BB-8, with arm motions while wearing a device connected to your robot. 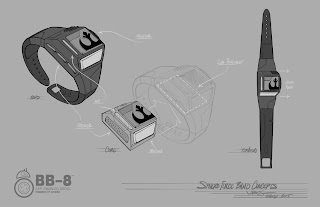 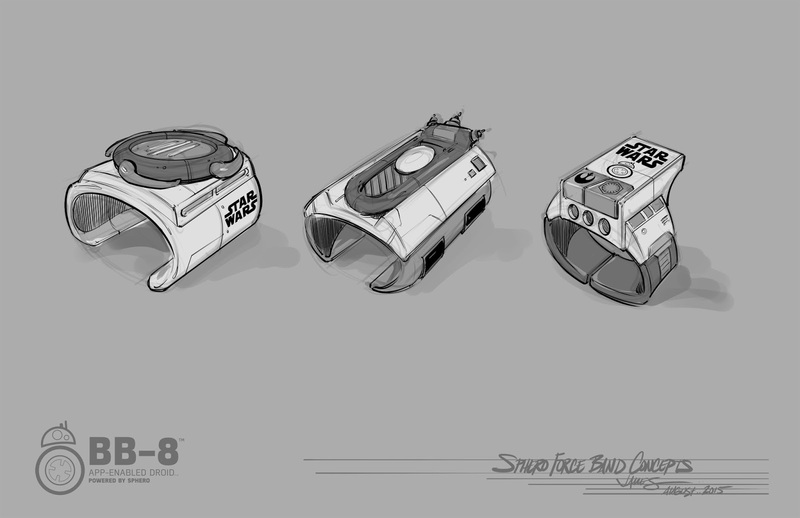 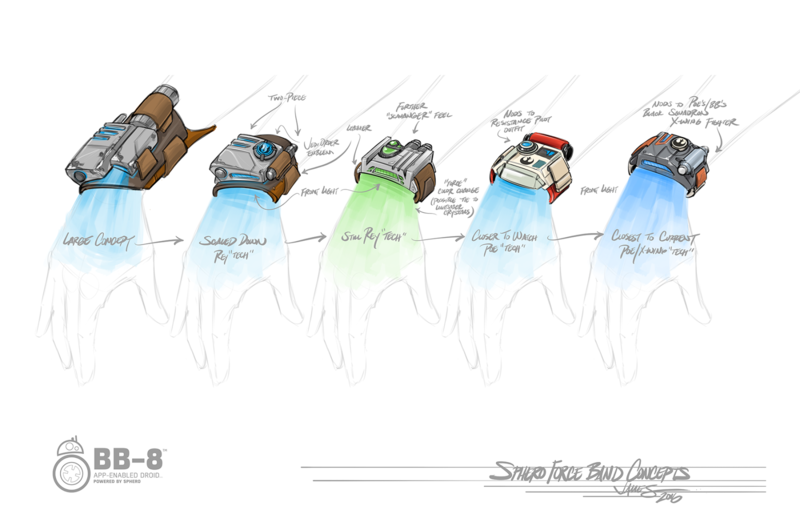 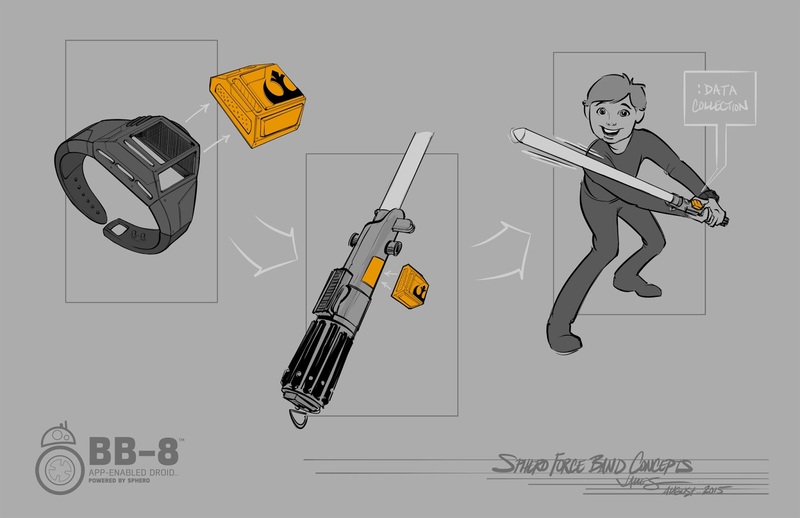 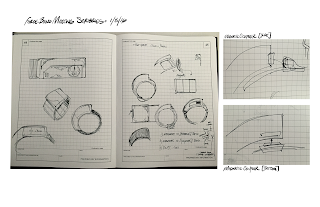 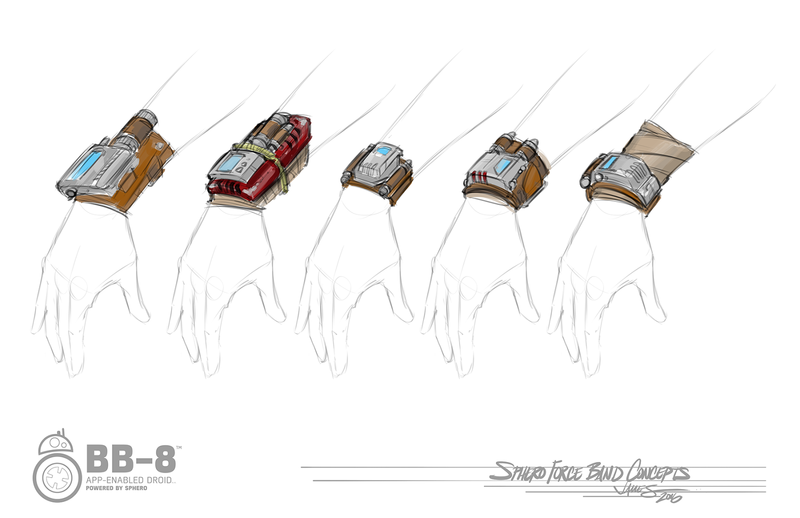 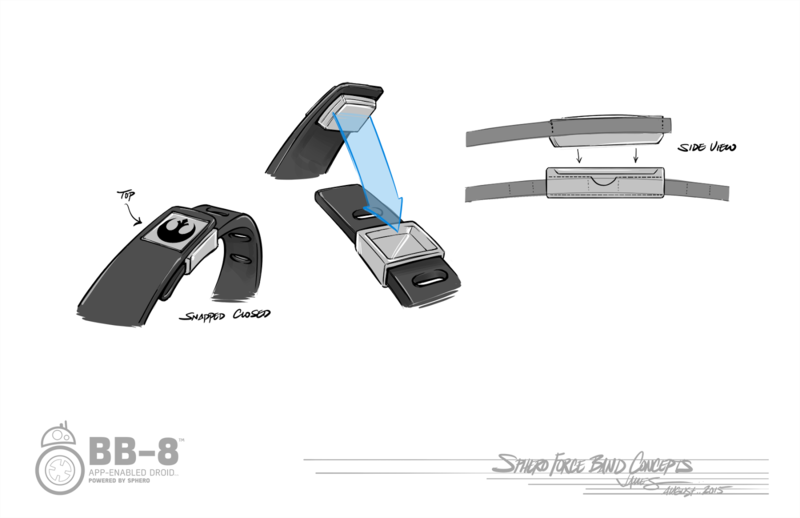 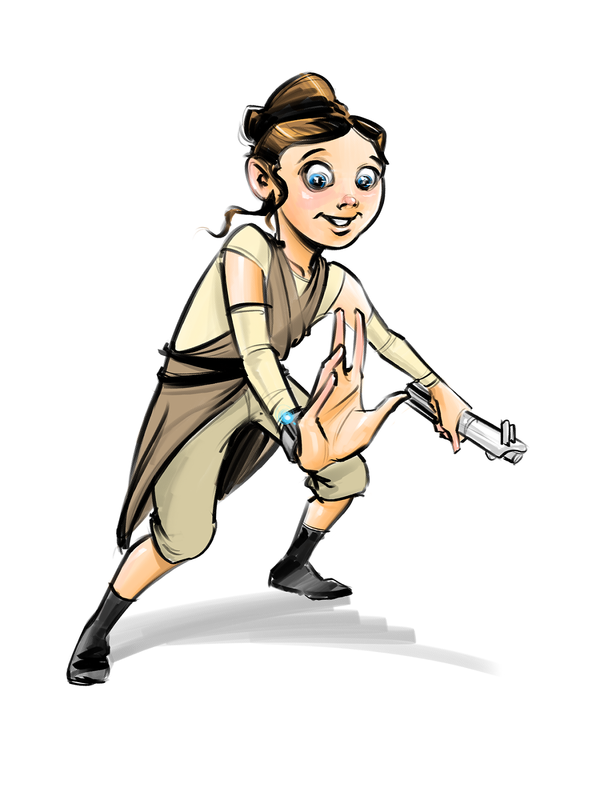 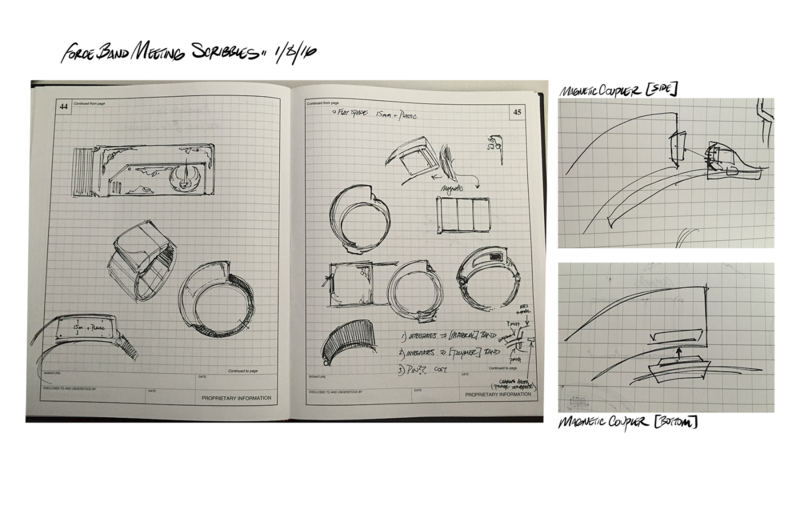 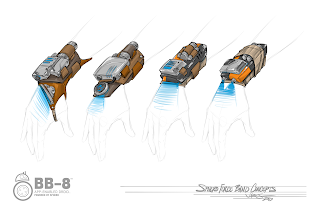 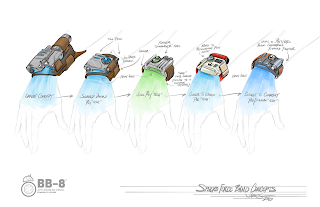 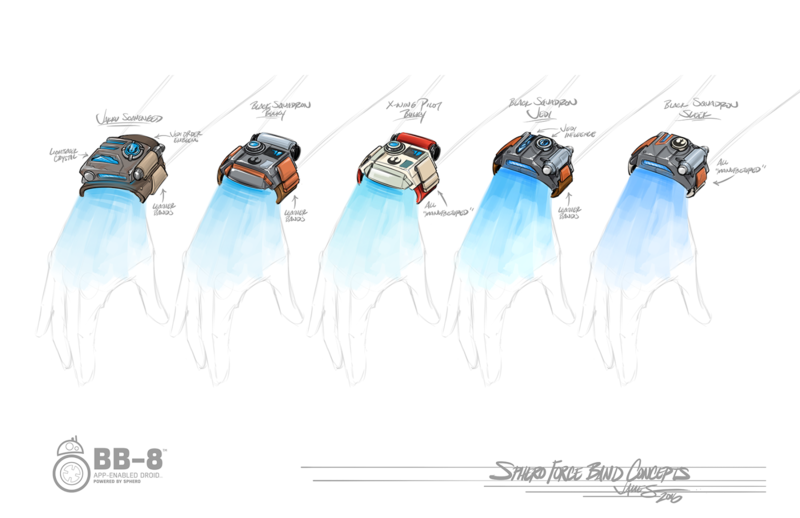 We initially wanted to have all of the tech for the band be in a removable pod that could be placed in/on different/future products, such as a "Sphero Lightsaber"
A cartoony sketch of Rey (or a child dressed as Rey) wearing a Force Band - I have since forgotten why I was asked to create this drawing, exactly.